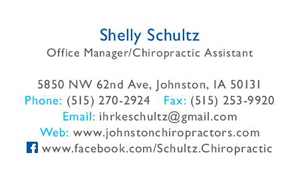 Chiropractic Assistant, Physiotherapy Assistant, Office Manager: Shelly graduated from Augustana College, located in Sioux Falls, SD in Business Administration and Finance. Shelly has been working with chiropractic patients for 27 years. 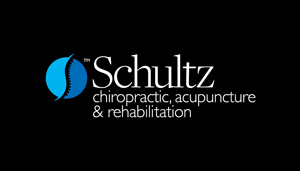 If you have any questions, please click the “Email Doctor” button at the bottom of each page or call Schultz Chiropractic & Acupuncture at (515) 270-2924 to reach us. We look forward to assisting you with anything you may need!